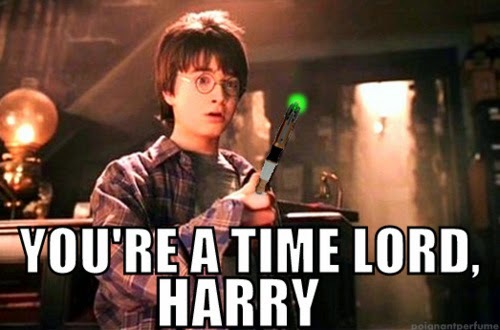 When DOCTOR WHO almost met J.K. ROWLING's Magical World of Wizardry | Warped Factor - Words in the Key of Geek. 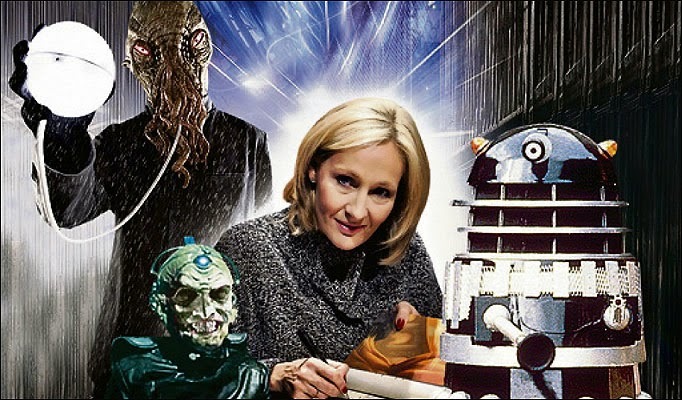 Christopher Morley looks back at Russell T Davies' attempts to inject some 'magic' into Doctor Who by enticing Harry potter creator, J.K. Rowling, to the show. Another candidate for the 'potential coup' column comes with the revelation that J.K Rowling could well have written for Doctor Who. Former show-runner Russell T Davies was apparently keen to get her on board as soon as he got his feet under the desk- but she turned him down, as she was busy with a certain boy wizard & didn't have the time. She was, however, 'amused by the suggestion'. Following the Ninth Doctor's regeneration into his Tenth incarnation, Russell tried a change of approach. Looking ahead to 2008's Christmas special, he made an attempt to bring her on board as a guest star! Its not hard to see his logic, either. We'd already seen the Doctor meet Charles Dickens ( The Unquiet Dead), William Shakespeare ( in both The Chase, on the Space-Time Visualiser, during his First incarnation & of course The Shakespeare Code ten selves later) & Agatha Christie. Further details of what might have been subsequently emerged. Which means we'd have seen an alien nasty similar to the one in Turn Left. It shouldn't be forgotten either that David Tennant had appeared in the film adaptation of Harry Potter & The Goblet Of Fire as Barty Crouch Junior. 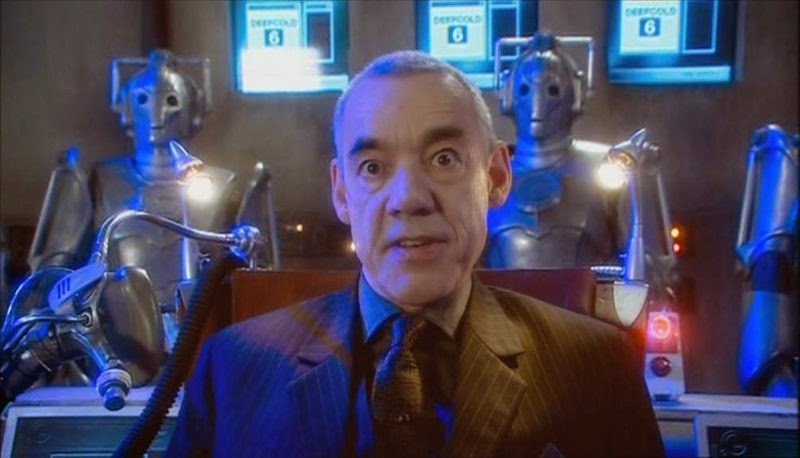 His father Barty Crouch Senior was played by the late Roger Lloyd-Pack, who also appeared in Doctor Who as John Lumic in Rise Of The Cybermen/The Age Of Steel. And what did we get instead? To fill the gap created by his leading man's emphatic ' nay' to the chance to work with the wizarding authoress, The Next Doctor was commissioned instead, featuring another David ( Morrissey, not the one from the Smiths either) & the hulking great Cyber-King! The idea of J.K one day writing for the Doctor just wouldn't lie still, though. With the announcement of the 11 Doctors, 11 Stories short story anthology to celebrate the big 50th anniversary, speculation was rife that she might finally take Davies up on his offer. She didn't, though, so we got Derek Landy's The Mystery Of The Haunted Cottage to fill the void. In essence its a bit like The Mind Robber if it had been set entirely in one of Enid Blyton's books. Consequently it just isn't as much fun! And while we're on the subject of magic & wizardry you might remember the Third Doctor's alias as 'Grand Wizard Qui Quae Quod' in The Daemons, which is actually a rather clever combination of three Latin variations on the word' who', in keeping with the Master's 'Magister', Latin for ' master'. Later on, during his Seventh incarnation, he will become Merlin in Battlefield- at some point in his future, which might be the past ( for him). Helpful then eh? At least we can be reassured that there is magic in the world after all! Even if it turns out to be a sort of science, as with the Daemons, Carrionites & countless others- which ties in with Clarke's Law, which accepts as a basic principle that any form of advanced magic can be said to be indistinguishable from technology. Indeed the Doctor himself quotes it during the course of Battlefield! Just three incarnations later he was initially prepared to believe that the linguistic skills of the Carrionites, rooted in science, could actually be magic.......the mind boggles.